Who will get a favorable government loan for housing? Own housing is difficult for young families, but they will be able to take advantage of a state-owned loan. In what conditions? Why is the construction savings loan or mortgage loan still a solution? House price growth in the Czech Republic has been one of the highest EU member states in recent years. Especially for young people, buying a flat or a house for financial reasons is problematic. Government-approved housing support will help address the situation. State credit may be granted to spouses, at least one of whom is under the age of 36, or to applicants who are permanently caring for a child under 15 years of age. Money will be drawn from the State Housing Development Fund. "The application for a national housing loan, including all necessary annexes, will be available from August 15, the amount of the maximum loan amount will depend on the purpose of the loan, the state will allocate from the fund 1 billion a year, this year only CZK 650 million , so we expect rapid exhaustion, " adds Emil Broz, Executive Director of FINFOCUS. The amount of the state loan will be at least CZK 30,000 and not more than CZK 300,000 for the modernization of dwellings, up to CZK 2,000,000 for the purchase of a dwelling by construction or purchase of a house, but not more than 80% of the actual costs, a maximum of CZK 1,200,000 for the acquisition of the apartment, however 80% of the price. The interest rate will be set at the basic European Union reference rate for the Czech Republic in force at the date of signing the contract but at least 1% per annum. "Due to the financial limit, the state credit will not finance the entire purchase price of the apartment or house. Therefore, the state loan will need to be combined, for example, with own savings or a building savings loan or a mortgage loan, it is advisable to consult the situation with a quality advisor, "adds Emil Brož, Executive Director of FINFOCUS. A State Housing Loan can not be granted unless the applicant demonstrates the ability to repay the loan if it is not sufficiently secured and the applicant has outstanding tax, social security or health insurance at the date of application for the loan. Borrowers do not have the opportunity to draw this state credit. The loan will be repaid in monthly installments and will be repaid at any time prematurely. The maturity of the loan may not exceed 10 years from the date of conclusion of the contract for the modernization of the dwelling, for the acquisition of the dwelling for 20 years. 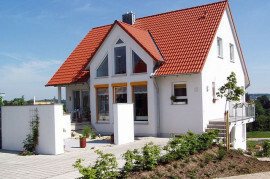 "During the repayment of the state loan, the beneficiary will not be able to transfer ownership of the dwelling to another person, but at the same time it will be possible to interrupt the repayment of the loan and the birth of the child during the repayment, reducing the principal amount of the loan by 30,000 CZK," explains Emil Brož . Why buy your own apartment or house? Some young families do not want to borrow for housing and prefer to live in a sublease. In the long run, however, the acquisition of one's own housing is a very responsible step, and a good financial planning does not have to reduce the standard of living of the family during the repayment of the mortgage. Mortgage repayments may be only slightly higher than rentals. Lease life is especially beneficial for people who move more often than not to work or do not want to bind. According to Emil Broz, debt due to housing is between good debts if the price of the property is equivalent to family financial options and a good way to finance the purchase of the apartment or house is chosen. The Harp Summer Scene Invites for the Premiere: I Will Kill Himself Next Time! Unwanted Injections and Ancient Tablets: How Was It Treated Earlier?